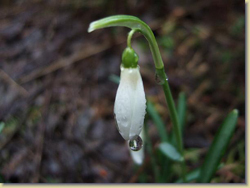 The snowdrop, a wonderful introduction to the marvellous world of Nature, so humble and yet so full of perfections. Glories untold, in a small thing set against the backdrop of a vast world. And, perhaps, a memory of a smiling face. Lift the veil, and see the spirit. 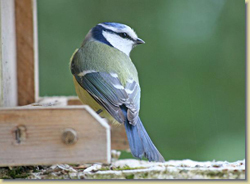 Birds are full of character, their expressions ever changing and reflecting a lively intelligence. The more conscious the observer, the more aware and rich in emotions the humble creature is discovered to be. What a scene of birds in the sky, fishes in the seas and rivers, the flowers, and stars, and all this beauty offered for you. 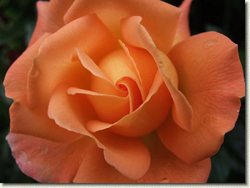 Roses have a fascinating history and are acknowledged as the classic beauty among flowers. What a joy to encounter a rose in the first light of dawn, glistening with dewdrops. The joy of offering from oneself to one's beloved. And above all the Lotus, supreme symbol of the East, where dawns the perfect joy.